Ready to make weekend plans? We've got you covered. Take your family to the Parade of Lights at the Delaware River Waterfront, or a 15th-anniversary screening of the Christmas classic "Elf." Spending time with friends? Shop the Rittenhouse Row Fashion Crawl, where you can browse with a cocktail in hand. Plus, Tinsel – the Instagram-worthy pop-up Christmas bar – is back! If you didn't get a chance to check it out last year, it's a must-see. And if you did go before, it's actually bigger and better than before. Find all the details below on six awesome events happening this weekend. 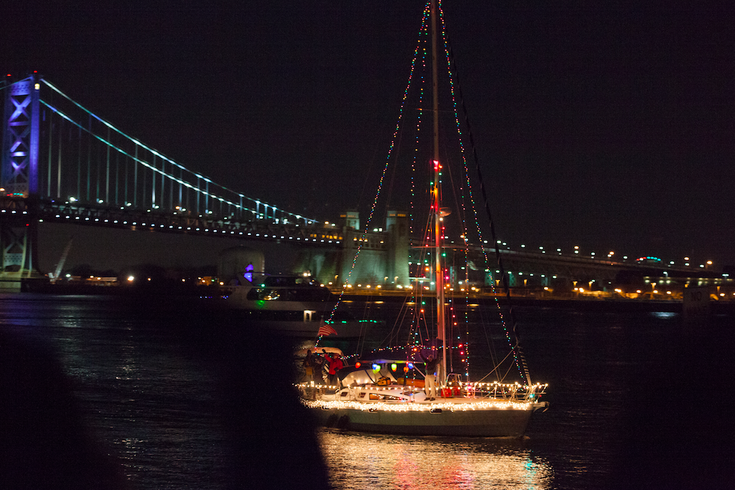 Saturday, head down to the Delaware River waterfront to check out a dozen boats decorated with twinkling Christmas lights. The parade is free to watch from Penn's Landing, but for the best view go to Independence Seaport Museum's second floor terrace. Get there early and you can meet Santa. In less words: Drink while you shop. During the Rittenhouse Row Holiday Fashion Crawl on Saturday, participating retailers will serve shoppers cocktails from neighborhood restaurants like The Dandelion and Spice Finch. At many of the stores and boutiques, there will be special discounts and gifts with purchase, too. Embrace the holiday season. We're only a little more than two weeks from Christmas. To really get into the spirit of the season, make a stop at Tinsel. There's a wall adorned with 1,000 bows, a chandelier made from 500 Christmas ornaments, an ornate Santa's throne and a cocktail made with edible snow. Pretty much everything in there screams "I love Christmas!!!!" Bonus: ITV on East Passyunk Avenue has transformed into a Christmas bar. Head there after Tinsel to try the Christmopolitan, Run Run Rudolph or Bad Santa. This new event is broken into two parts. During the day, it's a family-friendly celebration with activities for all ages – including a stained glass-making workshop. Then at night, it turns into a dance party for the 21-plus crowd. We tend to over do it on booze and sweets during the holiday season, and slack on our exercise routine. That's why finding a fun workout is so important. Saturday morning, join in the 3-mile Rudolph Run. With everyone rocking ugly sweaters, reindeer antlers and shiny, red noses, you'll find yourself grinning while jogging. Here's an event that will make you want to sing loud and clear for all to hear. On Sunday afternoon, "Elf" will be screened at the PFS Roxy Theater in Rittenhouse. Tickets are $9 for adults, and only $4 for kids.